In accordance with licensing requirements, Gulf Coast Canna Meds (GCCM) will run a vertically integrated medical cannabis business, to include cultivation, extraction, processing, manufacturing, distribution, and dispensing operations. GCCM will cultivate unique strains with distinct cannabinoid profiles and produce finished products such as medical cannabis concentrates, vaporizer cartridges, topicals and other infused products. GCCM will sell its branded products at its own dispensary locations and to other MMTCs around the state of Florida. GCCM will cultivate seeds and clones of popular strains to add to the company's product line. GCCM's breeding program will create signature strains that have specific benefits for various qualifying conditions. The breeding program will focus exclusively on breeding plants that contain the cannabinoid ratios needed to alleviate the suffering of patients. Feedback from local physicians, patients, and other MMTCs will be essential for guiding the breeding project. GCCM will internally cultivate all the cannabis used in the production of its medical cannabis products. This practice will ensure that all constituent materials meet GCCM's rigorous quality standards and will maintain consistency throughout the product line and earn consumer and medical trust. Consumers will develop product loyalty and be able to reorder the products with consistent results. GCCM plans to operate multiple dispensaries. The company will maintain a competitive edge by offering diverse products with various cannabinoid compositions that originate from GCCM cultivation and processing facilities. As a result of the vertical integration of GCCM operations, the company will offer superior products compared to dispensaries relying on wholesale vendor accounts to supply medical cannabis. GCCM will provide the highest quality product in the market and be known as the trusted source and obvious choice in a new market. GCCM's Skilled dispensary technicians will assist patients in personable, face-to-face interactions. GCCM dispensaries will fully accommodate people with disabilities and the elderly, two critical demographics about whom GCCM cares deeply in regard to quality of life. GCCM dispensaries will be sleek, clean, and designed like a modern pharmacy. As part of the GCCM dispensary experience, dispensary technicians will make sure to accommodate all inquiries about medical cannabis. GCCM will take care to protect patient data and guarantee privacy when serving patients, and the company's inventory systems will ensure a complete seed-to-sale traceability. This practice will streamline company operations and demonstrate responsibility at each step of production. We have secured the mentoring of Canna Advisors and brought them on the team. 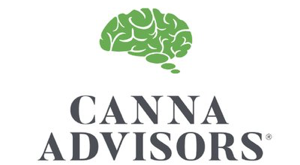 Canna Advisors is the pre-eminent cannabis consulting firm in the nation. They have helped more businesses win licenses, navigate the cannabis regulatory environment, and advocate for the cannabis industry. The firm's winning history includes dozens of license wins spanning 20 competitive markets. Canna Advisors continues to set new benchmarks for success with its professional team, offering more than 70 years of combined regulatory experience. Constance Finley, founder of Constance Therapeutics, after suffering from a debilitating auto-immune disorder and following a harrowing regimen of traditional treatment, turned to growing her own strains of legal medical cannabis despite her concerns regarding the stigma. After recovering her own quality of life, doctors referred patients suffering from a variety of illnesses to Constance for relief and Constance Therapeutics was born. Through standardization and ISO 9000 pharmaceutical techniques, Constance Therapeutics has been able to provide a consistent brand through a patented process. Constance Therapeutics is a vertically integrated medicinal cannabis company producing standardized and science-based whole-plant cannabis extracts. The company has created a new category of whole-plant cannabis extracts that fills the gap between traditional pharmaceuticals and commonplace cannabis products, providing much needed additional treatment options to physicians and their patients. Constance Therapeutics' extracts are derived from fully trimmed, female unfertilized cannabis flowers of plants with known genetics using certified-organic, pharmaceutical-grade ethanol via a highly controlled, quantitatively-defined and patented process that is based on solid scientific and engineering principles. Extracts are systematically third-party tested and routinely cross-tested in the industry's most respected laboratories. Since 2008, the company has employed stringent, science-based processes and standards to ensure the highest quality and consistency. CT pioneered the 4:1 ratio broadly adopted for cancer in the industry, and later the 1:1 ratio now pervasive in the industry; founder Constance Finley led the first-ever SXSW panel on cannabis in 2015; and CT received the first cannabis manufacturing permit in the city of San Francisco. Constance Finley is an international speaker on topics such as "Taking cannabis seriously" and "The Future of Botanical Medicine". GCCM aims to be a vertically-integrated distributor of a complete offering of medical cannabis products to the Florida market. Below is a representative sample of the Company's product offerings. These products are created using chilled ethanol to extract cannabinoids such as THC and CBD. This allows for more controlled formulations and higher cannabinoid levels than those traditionally found in raw flowers. These products are created without using traditional solvents to extract the chemical compounds of the plant. This allows for more controlled formulations and higher cannabinoid levels than those traditionally found in flowers. Vaporizers and other devices that allow patients to easily inhale medicinal vapor from cannabis flower or concentrated oils have become popular options for medicating. Cannabis infused lotions, balms, oils, salves or patches that are absorbed through the skin and provide localized relief to areas of the body where they are applied. Most topical products do not yield any psychoactive effect. Stable food grade chilled ethanol-based infusions (i.e. olive oil or coconut oil) that are ingested orally or absorbed sublingually. They can be easily formulated to allow patients maximum control over dosing and symptom relief. Items that feature the company logo, including, but not limited to: clothing, hats and caps, other wearable accessories such as sunglasses, branded vaporizer pen batteries, etc.